Often, you make your first impression not with your words, but with your smile. People with perfect white teeth seem to magically draw others to them and words like intelligent, attractive and professional quickly come to mind. Is this the kind of impression you want your smile to make? Dr. Steve Aspros, Dr. Ransey Boyd, Dr. Kirstin Walther, and our team love giving people the kind of smile they thought they’d never have. With our cosmetic treatments, we can enhance just about every aspect of your teeth and give you a confidence boost unlike any other. If you’d like to know more about everything we can do to make your teeth shine, just contact our Tallahassee office today. Do you have chipped, cracked, or broken teeth? How about large, obvious gaps? If all you can see is what’s wrong with your smile, porcelain veneers may be your answer. Just one simple treatment can fix a wide variety of cosmetic flaws and serve as its own smile makeover. This is why more people than ever, including celebrities, are choosing to get porcelain veneers. They are one of the most direct ways to get the exact smile that you want. When we repair your teeth at Aspros, Boyd & Walther Dental Associates, we don’t want them to only be functional, we want them to be beautiful as well. In order to give you the best of both worlds, we offer metal free restorations with Emax crowns. These crowns are made of 100% lithium disilicate ceramic, which enables them to be just as strong and durable as a natural tooth while completely mimicking their appearance. Emax crowns are translucent just like enamel, meaning that they even reflect light the same way. Because they are metal free, there are no ugly gray lines to hide, teeth won’t be sensitive to hot or cold temperatures and metal allergies are never a concern. 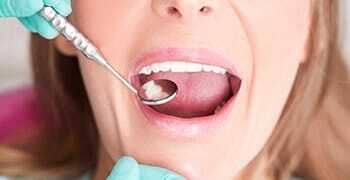 The end result is a tooth that will last for years and greatly enhance your smile in every way, and only you will know that you’ve had dental work done. A small chip or crack on your teeth can have a big effect on your overall appearance. 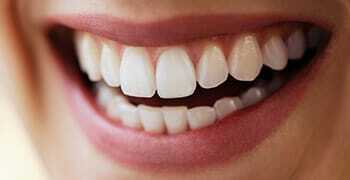 Every time you see your teeth, your eyes immediately go to that one imperfect tooth. Wouldn’t it be nice if your dentist could simply sculpt it away? With cosmetic direct tooth bonding, that’s exactly what we can do. It uses a composite resin to mold your teeth into the perfect shape and size, and can even improve color and alignment. When you come in for direct bonding, your dentist will apply a putty-like resin to your teeth and shape it to hide any imperfections or flaws. After you are both happy with the appearance, they will use a special curing light to quickly harden it. At this point, you’re done! Direct bonding is one of the fastest and simplest cosmetic treatments available today. One of the most important aspects of your smile is the color of your teeth. It’s probably the first thing you notice about a person, which means it’s the first thing they notice about you. Is your smile looking dull, yellow or discolored? If so, we can bring back its natural shine with our Ultradent home teeth whitening kits. Specially made for each patient, they use professional-grade products you won’t find in any generic store-bought whitening kits. You have probably heard about Invisalign, the clear aligner treatment which has been used in literally millions of cases worldwide. 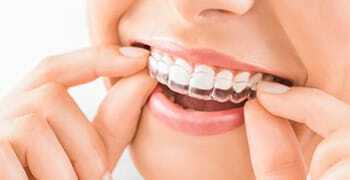 It is an excellent alternative for patients who wish to avoid wearing fixed metal braces. Invisalign is removable, comfortable, and best of all -- practically invisible. Many patients who could benefit from traditional braces are indeed eligible for Invisalign. The only way to find out if you are, too, is to schedule an appointment with our office.